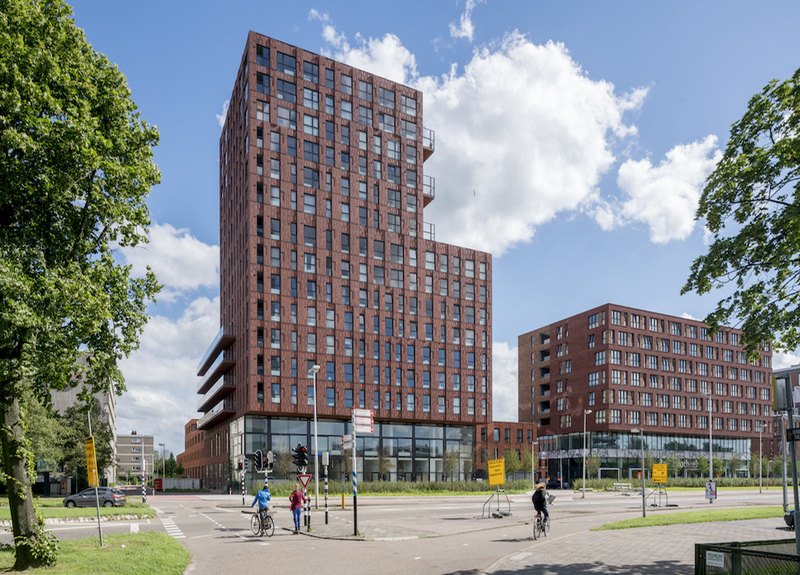 The design for the facade responds to the concrete gallery-access blocks of flats in Kanaleneiland. 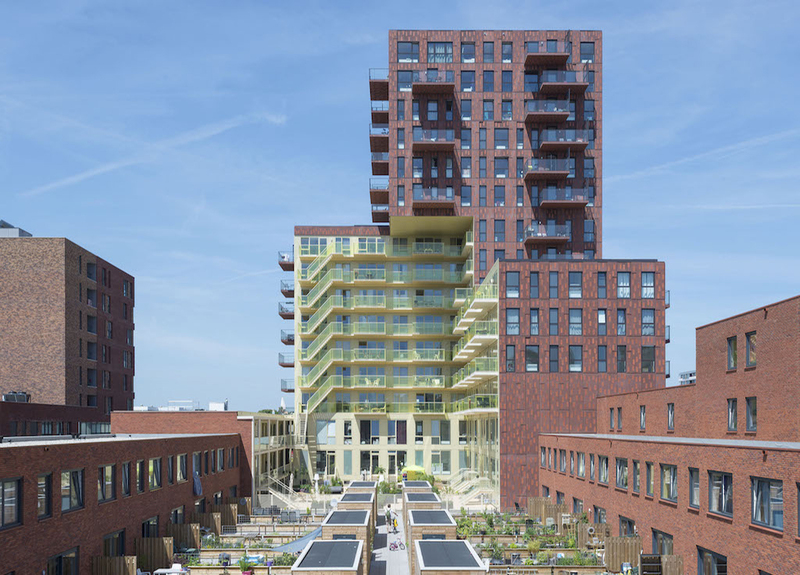 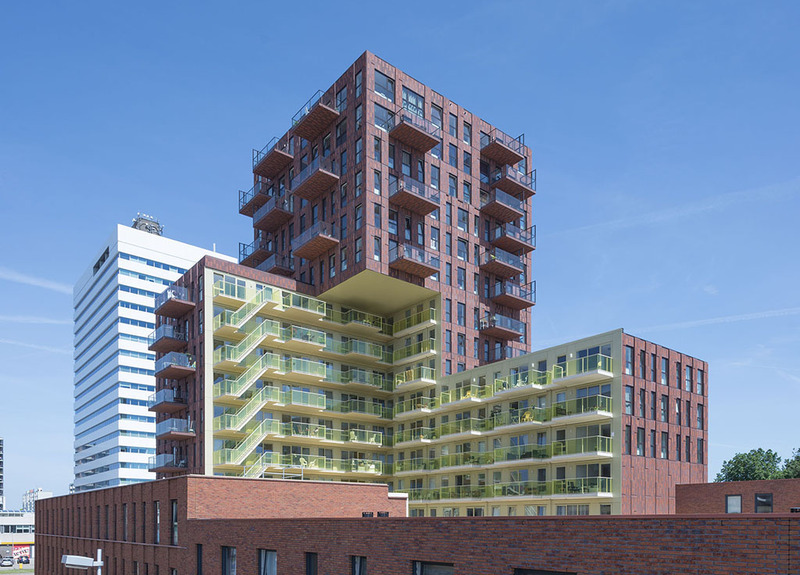 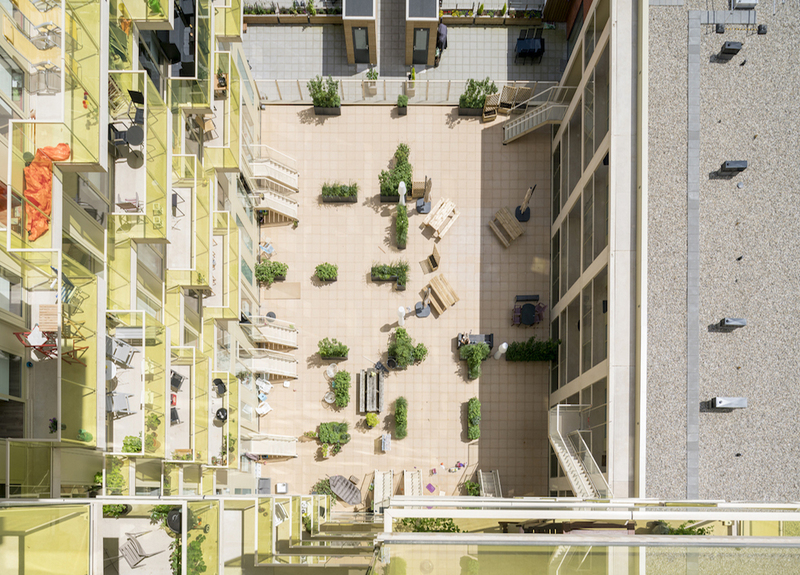 In contrast to the horizontal articulation of these facades, the exterior of De Verkenner is predominantly vertical in design. 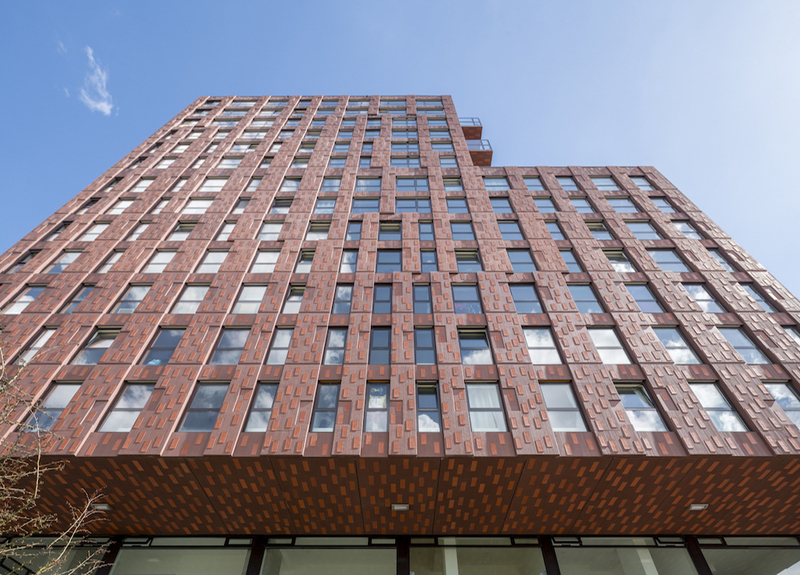 The facade is ‘slow made’ with consciousness regarding local materials and production techniques. 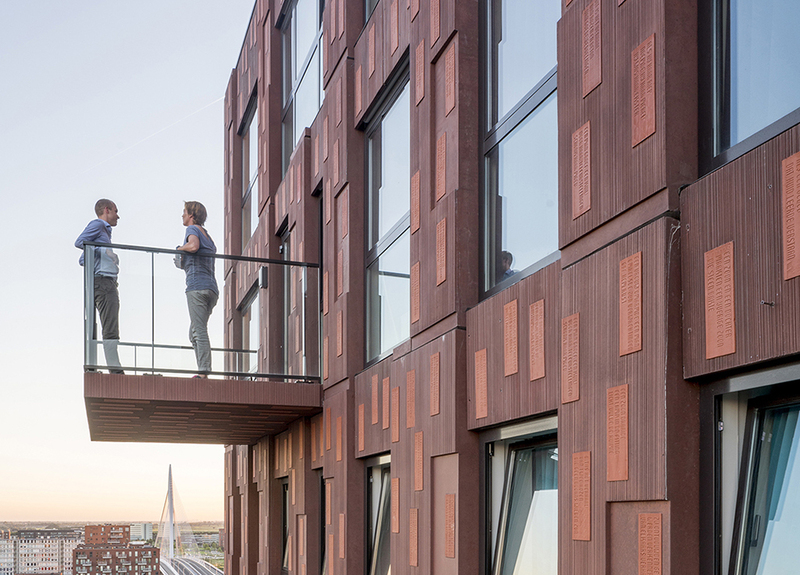 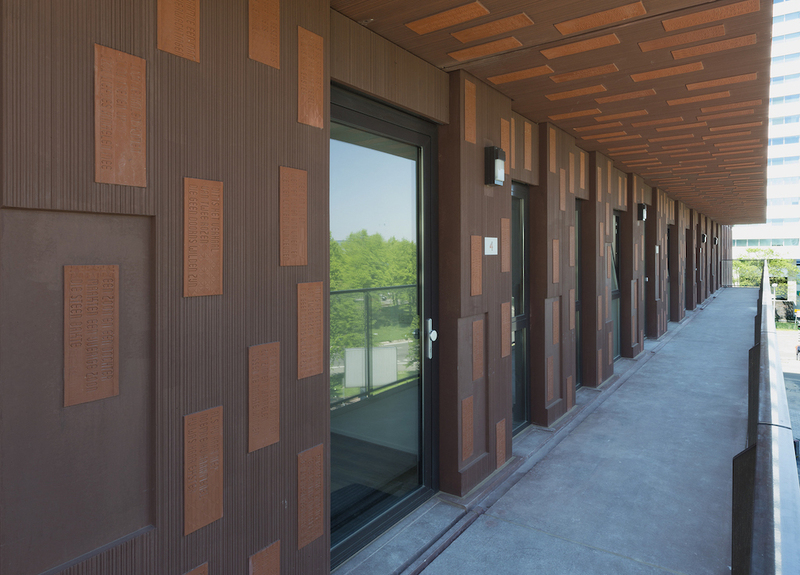 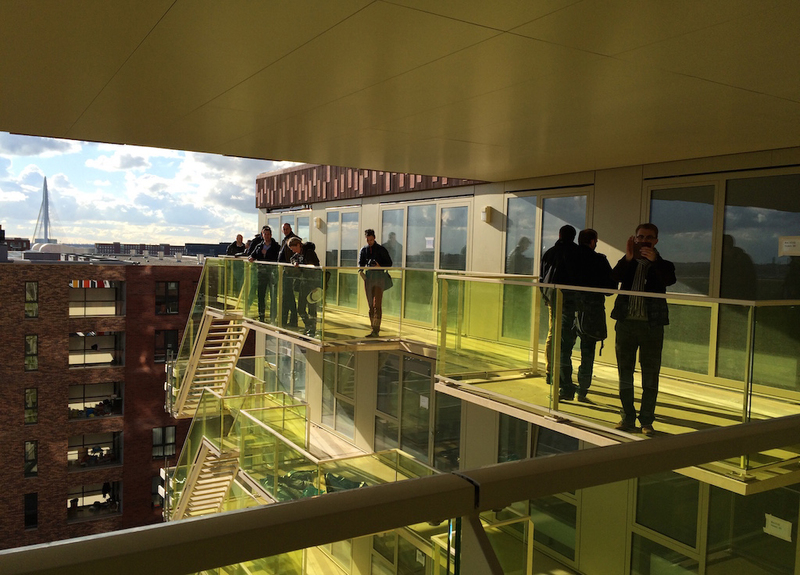 The brown concrete elements, each two floors tall, feature a surface texture and relief details. 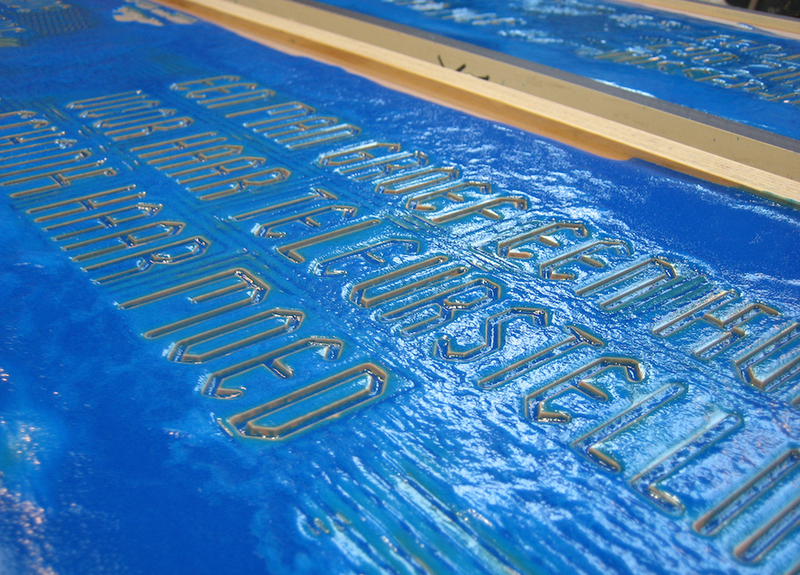 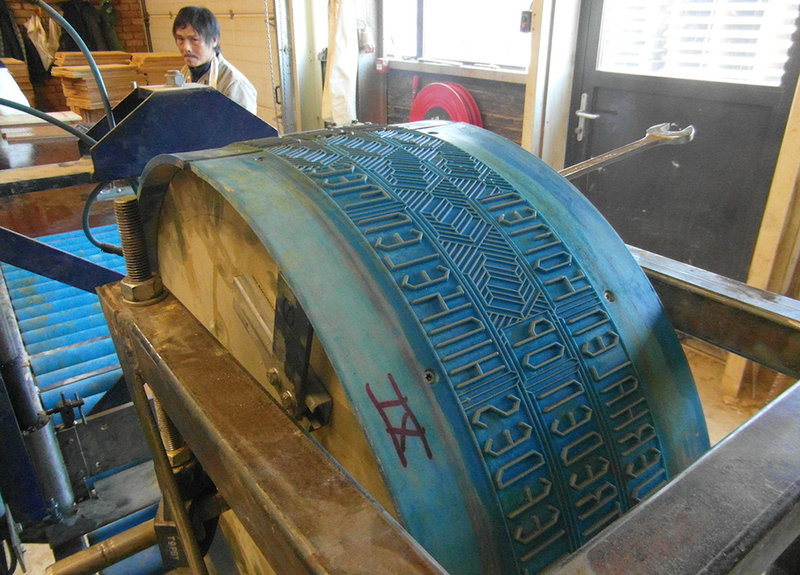 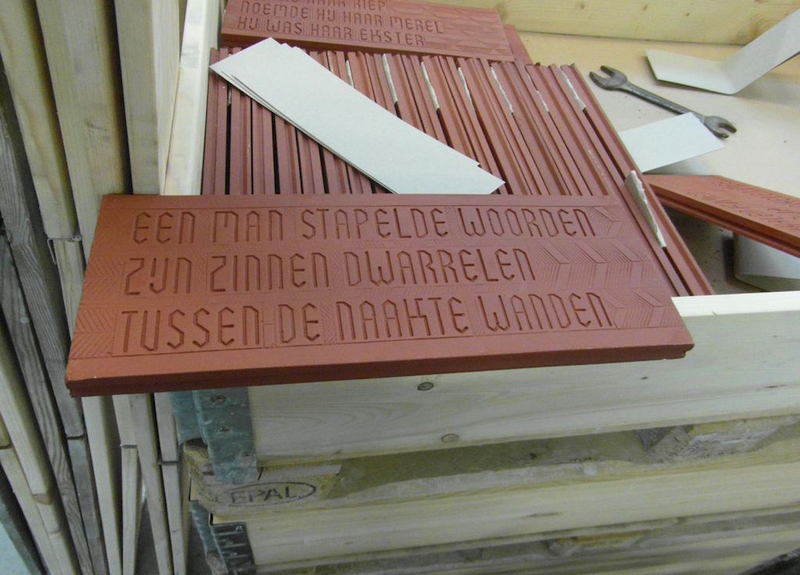 This effect is enhanced by the incorporation of 13,000 ceramic tiles, made by Royal Tichelaar Makkum – the oldest company in the Netherlands and world-famous for its ceramics designs. 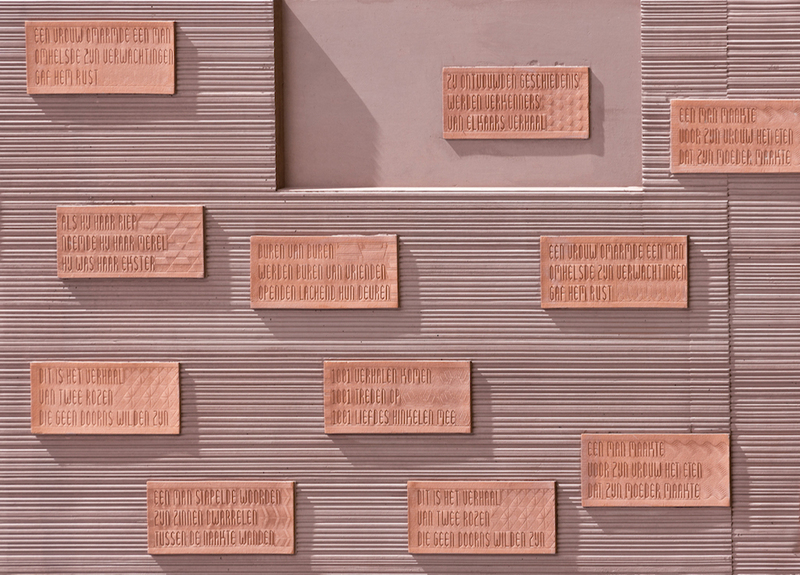 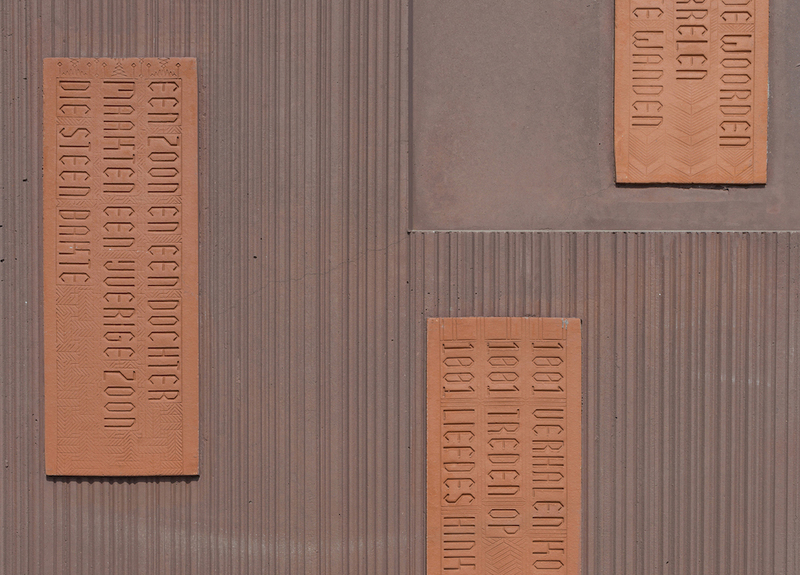 Based on a design by visual artist Milou van Ham in collaboration with poet Tsead Bruinja, these tiles feature 16 different lines of poetry that lend the building an identity specific to the location.